Best Eye Shadows for Green Eyes. When choosing the best eyeshadow for green eyes, take into consideration complementary colors. You’ll get the best results when you pay attention to all those colors opposite your shade of green featured on the color wheel. This will not only guarantee you make the best of your makeup routine, it will also allow you to be creative and safely try out new shades! When you decide which one of the best eyeshadow colors for green eyes you prefer, don’t forget about your natural complexion: always go for eye shadows and liners that match the undertones in your skin color. Sepia is an ideal, rich brownish-gray or dusky brown hue that women can consider when picking their favorite best eyeshadow colors for green eyes. Sepia is an amazingly versatile eyeshadow color for green eyes: you can use it as the base eye shadow when you want to complicate things a bit by adding a more vibrant color eyeshadow for green eyes. Sepia is also a great, natural eyeliner color, which once again can beautifully compliment your green eyes! 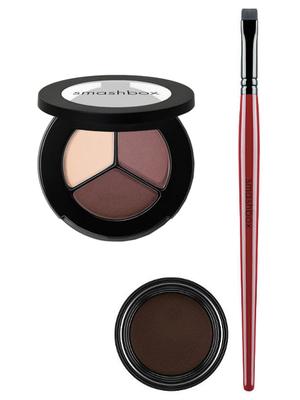 Try Smashbox Girls on Film cream eye liner set and Smashbox Photo Op Eye Shadow Trio both in Sepia. Plum is the best eyeshadow for green eyes, since the shade and your eye color together can create an amazing contrast. Plum could really bring out the green in your beautiful eyes and make them appear even more dazzling. Plum is a great color which can help you achieve a stunning smoky eye makeup look great for a night out. The best MAC eyeshadow for green eyes is Plum Dressing. This eyeshadow for green eyes is a pinky plum with metal accents. 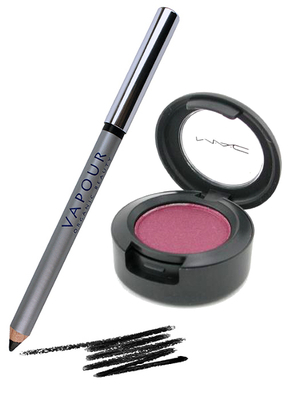 Get the best of this eyeshadow for green eyes with Vapour Organic Beauty Mesmerize eyeliner with smoky eye tool. If you’re going for a more intense makeup, one which will make your eyes simply pop – then charcoal is the best eyeshadow for green eyes choice for you. Go for a mysterious smoky eyes makeup with best MAC eyeshadows for green eyes: Carbon and Black Tied are two really intense hues that will look perfect, bringing the best of your natural eye color. Silver is the best eyeshadow for green eyes celebs go for when choosing a smoky eye makeup for the red carpet. The gorgeous green-eyed Kate Beckinsale mastered this look, loved by the fashion savvy. Take her as your next makeup inspiration when choosing silver as your best eyeshadow for hazel green eyes for this summer! 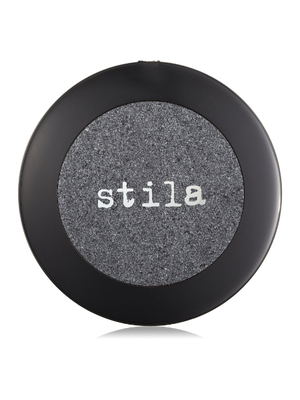 Try Stila Jewel Single Eye Shadow in black diamond (silver).